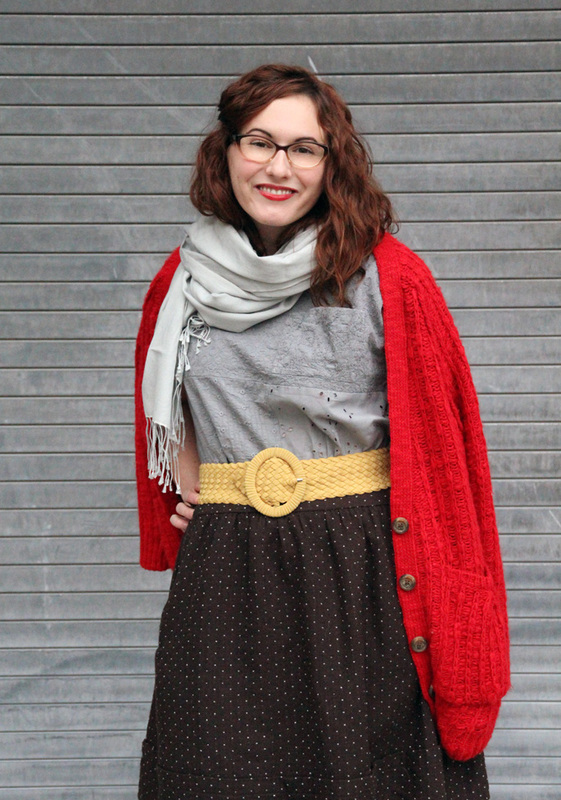 Top, Belt, and Cardigan: Anthropologie. Skirt: Vintage. 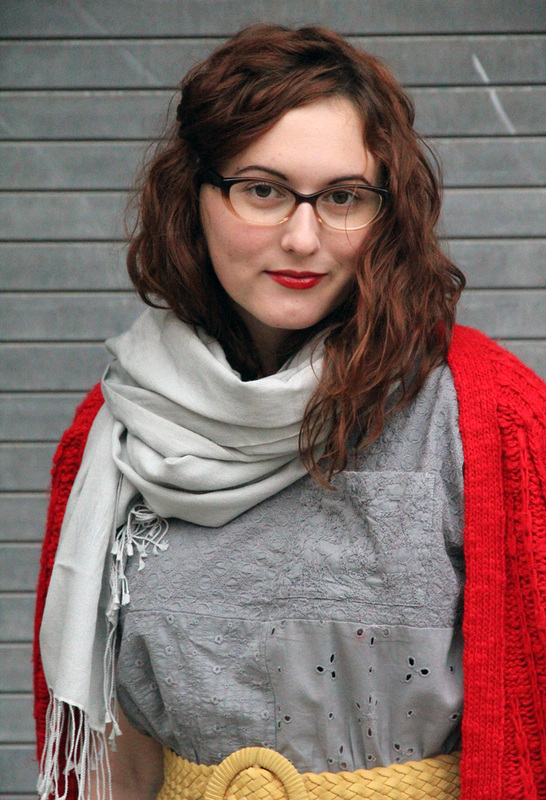 Scarf: Amazon. Tights: Express. Boots: Sorel (c/o). Bracelets: Vintage, Kora (c/o). Watch: Skagen (similar style). This past September Meghan, Krystal and I attended the Lucky FABB conference in New York. After checking out the latest and greatest from all the different booths at the event, we all ended up with the same adorably cozy boots from Sorel. We work together, so we thought it would be fun (and kind of funny) if we wore them on the same day to see how we would each style them. 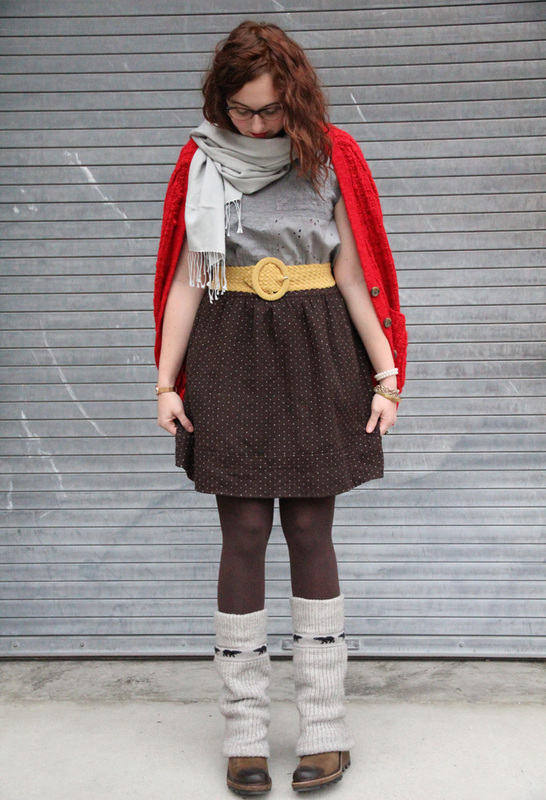 Our pal Maria (of Kitties + Couture) took part in the self-imposed Sorel style challenge today too! Check out Maria’s look here, Krystal’s here, and Meghan’s here. Leave it to you to pull them off with a totally feminine look. I love it! You gals did great – love the boots – nice. Super cute! love the tights and boots combo!